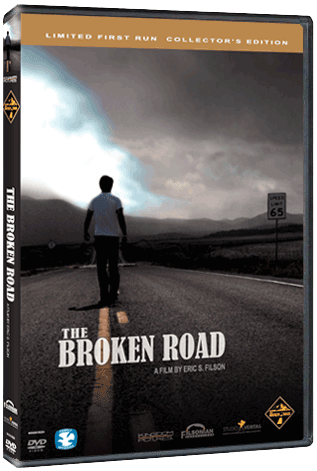 From Kingdom Pictures comes The Broken Road an inspiring motion picture from director Eric S. Filson. It is a compelling story of a young man's journey back to a faith he once knew. His orphaned childhood left him bitter and despondent with no sense of direction. Homeless, and nursing a drug habit, Miles (Jasha) allows himself to be alienated from everything meaningful in his life. The death of his younger brother Aaron (Jared Updike), whom he had abandoned at a foster agency, drives him farther away from everyone. He finds himself on a Colorado bound journey to spread his brother's stolen ashes. On the road he makes the mistake of picking up a hitchhiker named TJ (Jeremy N. Fisher) who implicates him in a crime, turning Miles into a fugitive from the law. Upon reading his brother's journal, he learns more about the deep faith that Aaron had in God; a faith he had once shared. Convicted of his bitterness and anger, Miles is given wise advice by a mysterious stranger and faces a difficult choice that could set him free forever.